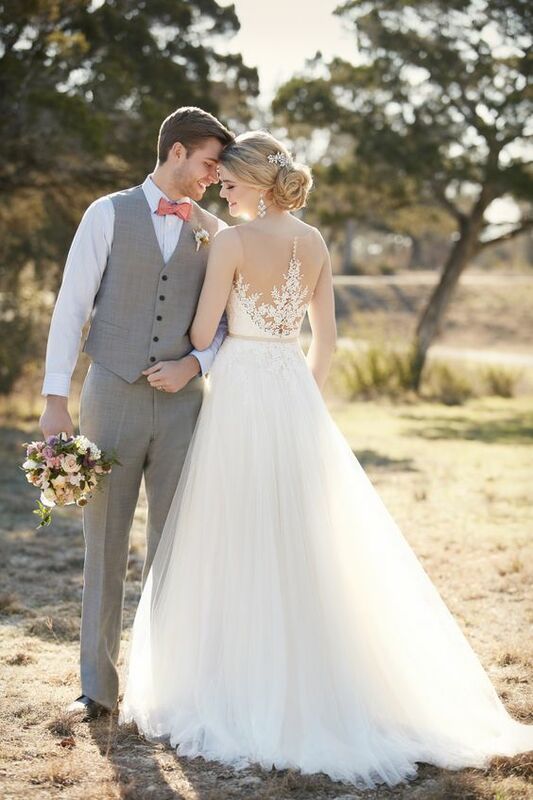 Illusion wedding dress detailing makes your gown look ethereal and incredibly chic, this type of detailing will never go out of style, this is classics that fits any wedding style. 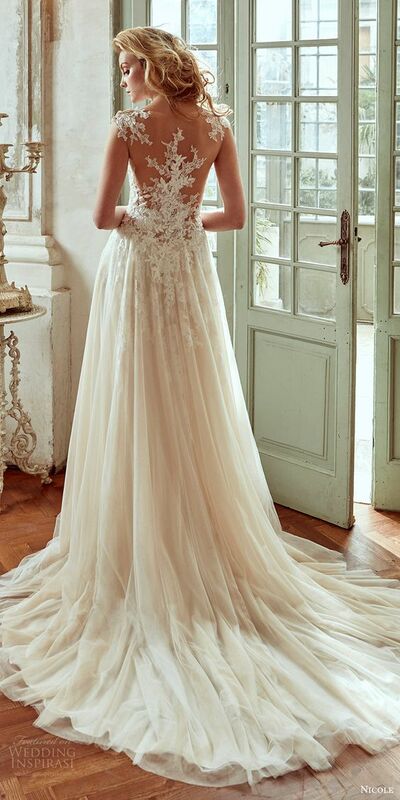 There are can be illusion sleeves, bodice, neckline or back, and today I’d like to inspire you for buying a super romantic wedding dress with an illusion back. Illusion back wedding dresses have several advantages: besides being romantic and tender, they will help you to make a statement with your back without showing off too much skin, which is essential for many brides. Plus, an illusion back is very comfy to wear and you can forget about any wardrobe malfunctions even if the back is very low. 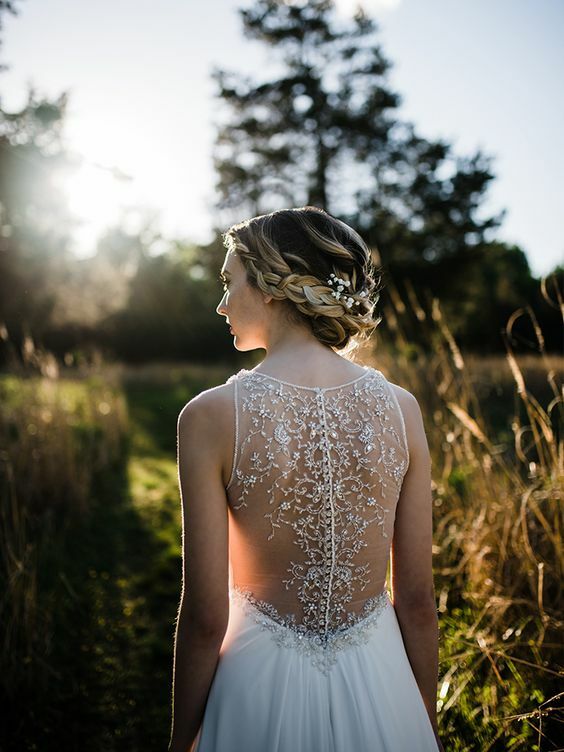 There are different types of illusion backs: lace, lace applique, sheer, with buttons and so on, let’s have a look at the trendiest. Such illusion backs look as if the back isn’t covered at all but in reality it is. Sheer fabric on the back makes the dress fit better and makes wearing more comfortable, this is a gorgeous modern detail. 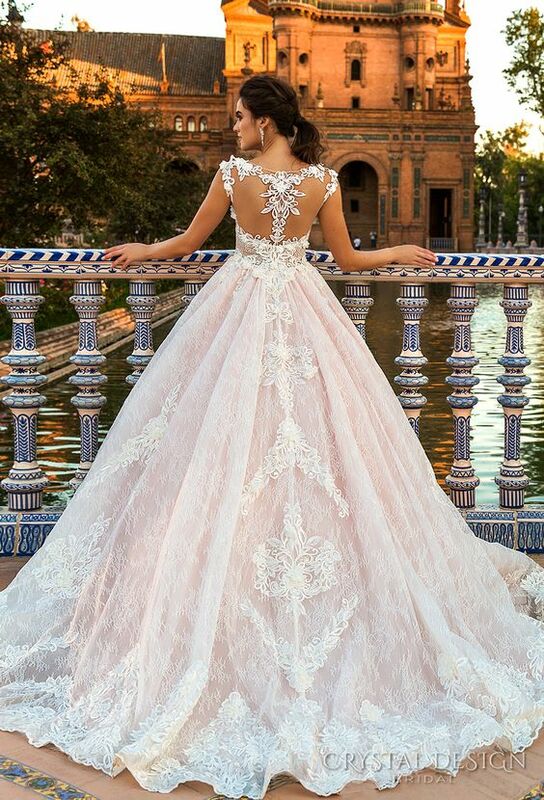 Such a back can be surrounded with lace or lace appliques, or may be highlighted with beading, embroidery and a row of buttons, the design is up to what you love. This is another great category full of beautiful gowns! 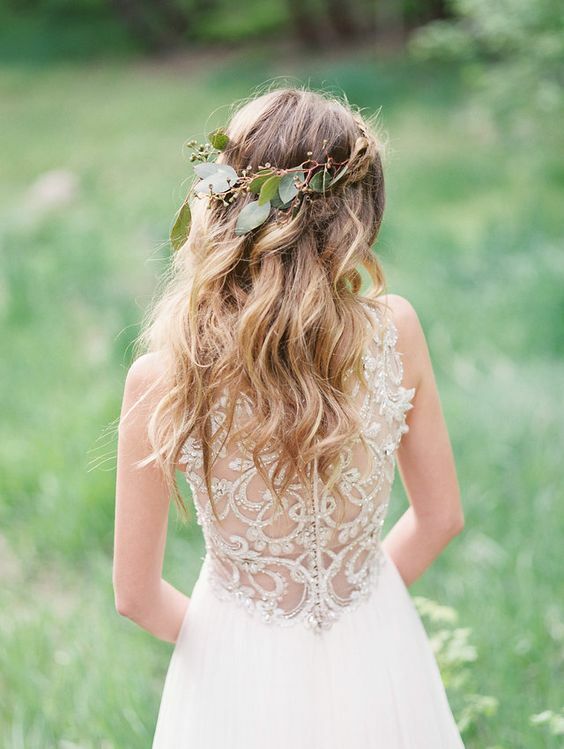 Some designers offer wedding dresses with gorgeous embroidery and beading, it’s usually done on a sheer back to accentuate it. Of course, a row of sparkling buttons is welcome! Such gowns look romantic but more modern and eye-catchy than lace illusion back ones. 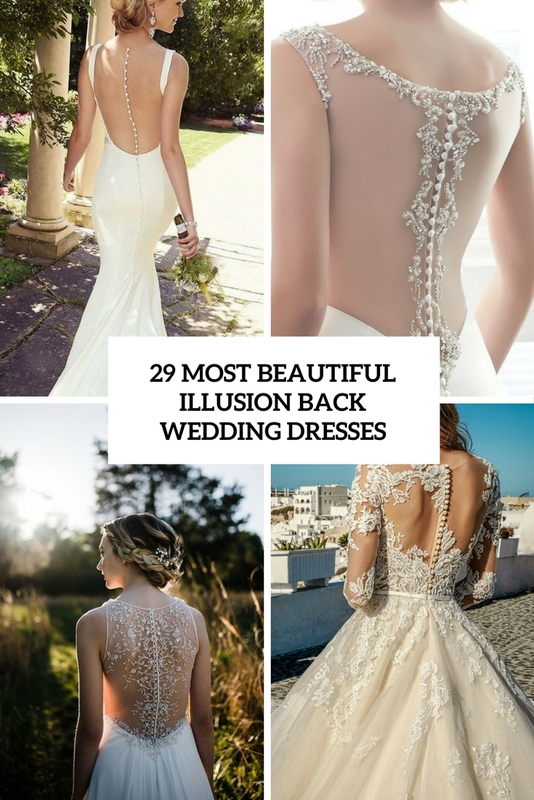 This is the largest category of illusion back dresses, there are all kinds of them, and with any kind of lace and lace appliques. The most popular silhouette here is mermaid, without sleeves or with cap ones, and with a beautiful lace illusion back. Add a button row, and you will be amazing! Lace appliques also look heavenly, choose a dress with a sheer back and floral lace appliques on it for a very romantic look.